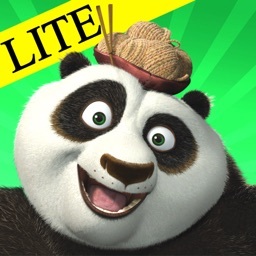 Watch nearly 20 minutes of video in 24 video clips from the movie - all in HD! 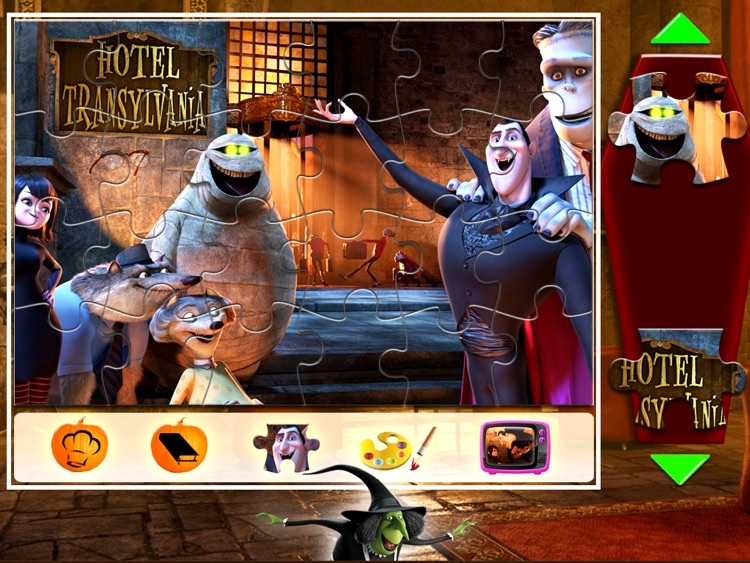 Hotel Transylvania Booklip Deluxe app is a stunning digital children's book application that takes full advantage of Sony Pictures Animation’s new movie, HOTEL TRANSYLVANIA and Castle Builders’ technology. 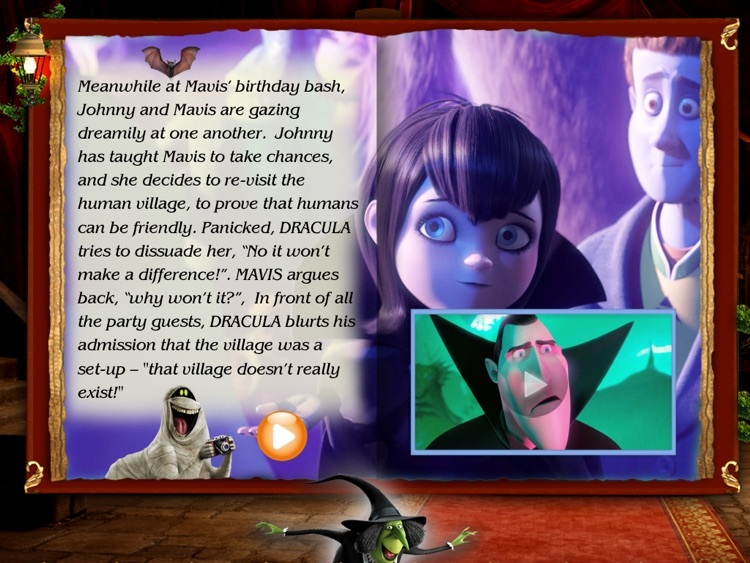 The movie leaps off the pages in this iPad storybook using rich animations, video clips and music from the original movie, vivid images and games. 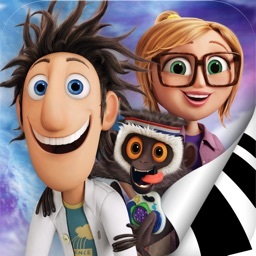 The BooClips™ app for the iPad offers a wide array of fantastic features such as word-for-word narration, voiceover recording, HD videos from the movie on every page and a 3D interface. 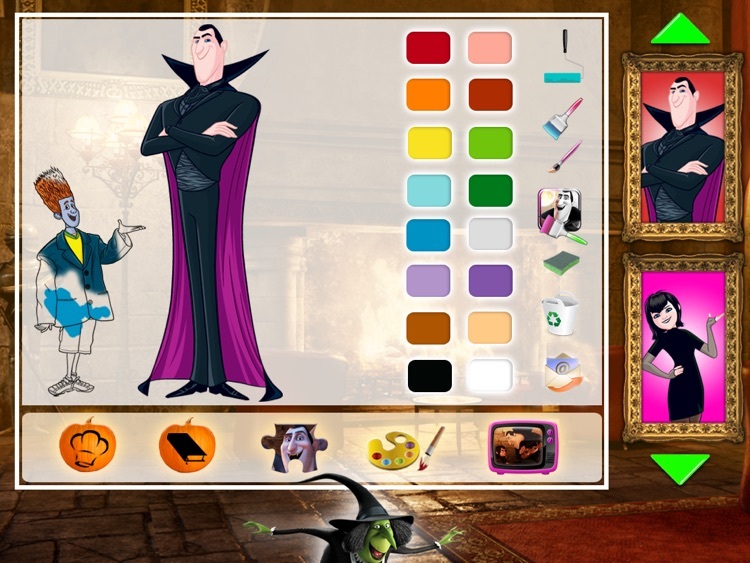 The app’s touch capabilities include interactive animations, translation to different languages, easy navigation between pages, an animated magnifying glass, a dynamic bookmark, a puzzle game, coloring book, songs player and an interactive cookbook. 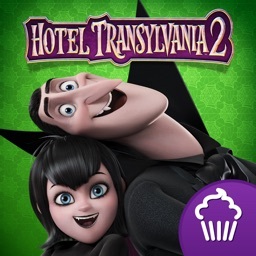 The app’s interactive cookbook features wonderful dessert recipes in an innovative way; recipes are read out loud in sync with the text and are accompanied with cooking-related videos from the movie alongside kitchen safety tips, making the recipes accessible, fun and easy to make. 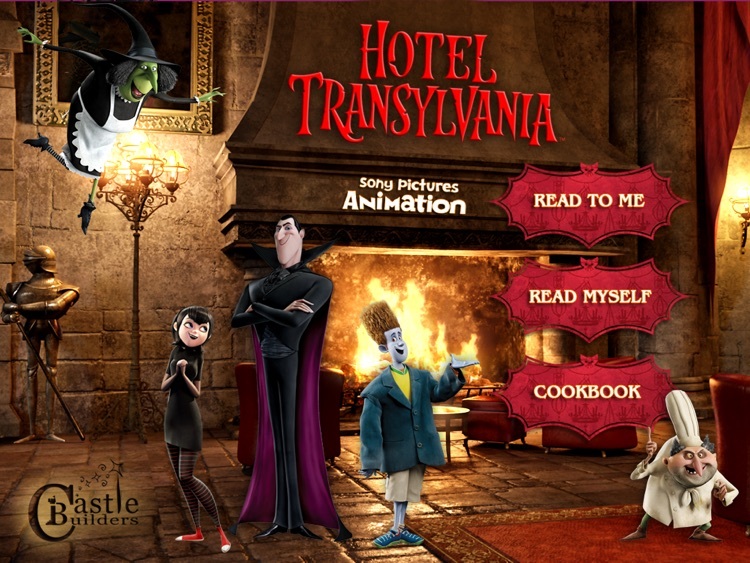 Among the cookbook’s unique features you may find an ingredients list that is easily converted from European measurements into American, a serving converter that calculates the quantities required for various number of servings, a cooking timer, and a sharing function that allows you to share favorite recipes on Facebook, Twitter or just via email. 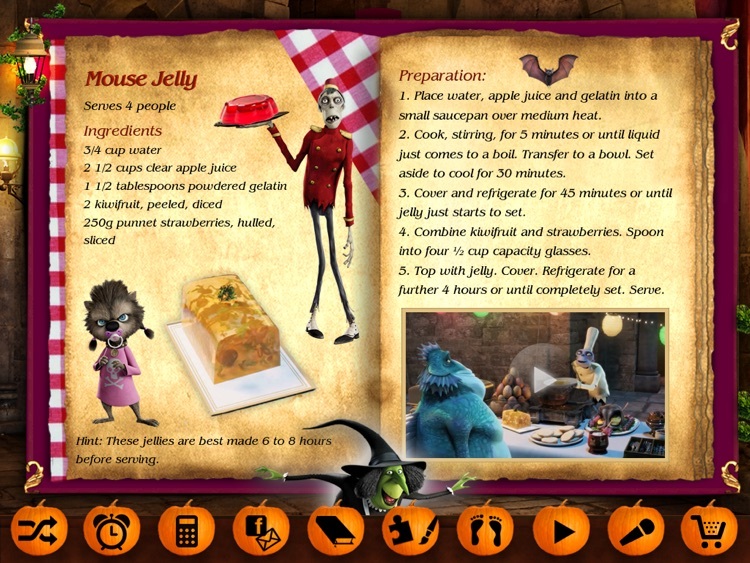 Moreover, this fantastic app pops up a random recipe by shaking the iPad, as well as a recording function for notes and personalized recipes. 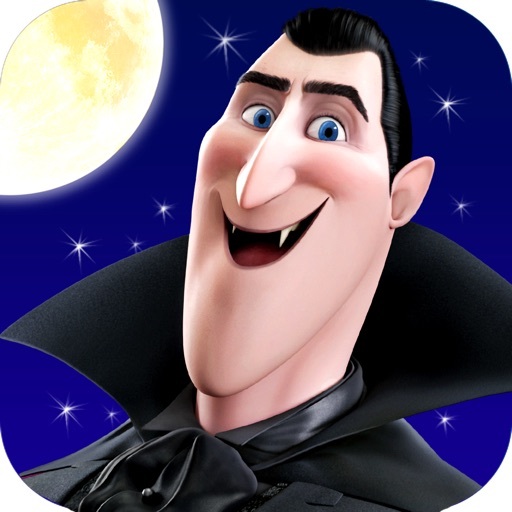 SONY’s Hotel Transylvania, tells the story of Dracula, who operates a high-end resort away from the human world, goes into overprotective mode when a boy discovers the resort and falls for the count's teen-aged daughter. 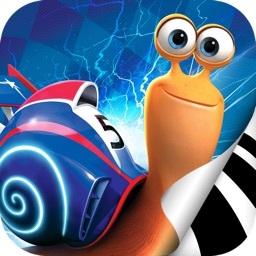 Directed by Genndy Tartakovsky and released in 3D, this computer-animated movie delivers a hilarious comedy, featuring the voices of Adam Sandler, Selena Gomez, Andy Samberg, Kevin James, Fran Drescher, Jon Lovitz, Cee Lo Green, Steve Buscemi, Molly Shannon and David Spade.